The Sundarban or a beautiful forest is a real wonder of the nature. This beautiful place of mangrove forest is the home to many endangered species like the great royal Bengal tigers, spotted deer, olive Ridley turtle and estuarine crocodiles and so on. This beautiful place has been declared as a World heritage Site by the UNESCO in the year of 1987. Sundarban is spread in the area of 9630 sq. km. This place has the richest diversity and climate conditions for the several floras and faunas. Sundarban also consist the world’s largest delta, known as Gangetic Delta. In fact, it is a perfect place for spending quality time with close ones. If you are planning for Sundarban tour then you must know about the best places of this national park to visit. Before knowing best places, you must know about the causes why you should visit Sundarban at least once in your whole life. Wildlife: This is like a main cause behind the Sundarban travel. Here you will find the main centre of attraction of Sundarban national park. Yes, you guessed it right. 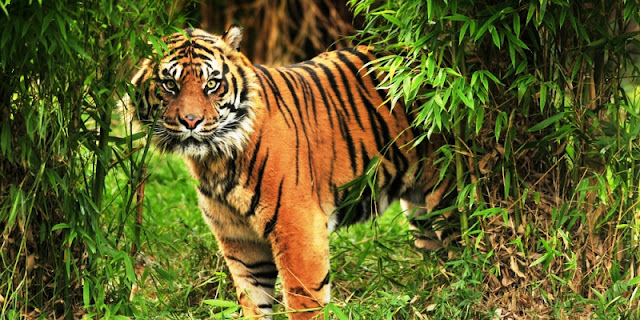 Here at Sundarban, they have the largest number of royal Bengal tigers from all around the world. Apart from that, you will get to see Fishing Cats, Leopard Cats, Wild Boar, Macaques, Fox, Jungle Cat, Indian Grey Mongoose, Flying Fox, Pangolin, Chital etc. Sundarban is the home to many wild animals. Nature: Sundarban is known for its largest mangrove forest in the entire world. Sundarban holds more than 64 plants species. If you love nature, you must visit Sundarban to view the most beautiful flora and fauna. Genwa, kankra, Khalsi, Passur, Garjan and Sundari trees are commonly and easily found in Sundarban. Piyali: This place is the gateway to Sundarban. Here you will have the most amazing experience of nature’s walk, bird watching and boating. It is located 72 km from the capital city Kolkata. Sajnekhali: It is very closer to Piyali. This place is famous for its bird sanctuary. Visitors can find out a Mango Interpretation Center here and numbers of watch towers at different zones like Sajnekhali, Haldi, Sudhanyakhali, Netidhopan and so many other places to find the exceptional glimpses of the royal tigers. Bhagbatpur Crocodile Project: Here you will get to see the largest estuarine crocodiles in the whole world. This place is famous for their crocodile breeding farm. Apart from these famous places, you can also visit Lothian Island Bird Sanctuary, Hiran Point, Halliday Island and Tin-kona Island. A perfect tour is all about your timing. Sundarban also have some specific timing to feel the real experience of wildlife and nature. The best season to visit Sundarban is during winters. The park is open from September to March. This is a period when maximum migratory birds are also present here to make the atmosphere more eye-catchy and pleasant. If you are a true nature lover, book your Sundarban Package Tour and add some beautiful memories from Sundarban in your travel diary.